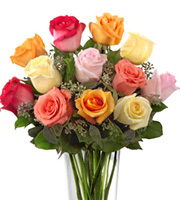 Send flowers in Chicago, the suburbs, and nationwide with Phillip's Flowers & Gifts. Eight award-winning floral locations serving Chicago and suburbs. 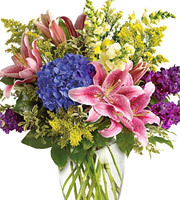 Same-day and next-day local and national flower delivery. Satisfaction guaranteed for more than 95 years. Your family-owned, full-service metro Chicago florist. Since 1923. Voted Chicago's favorite florist, Phillip's has seven award-winning flower shops and two warehouses in the greater Chicago area that serve the city and over 150 surrounding communities with beautiful fresh flowers, plants, and gift baskets for every occasion. Founded in 1923, the family-owned company provides same-day and next-day flower delivery throughout Chicago, IL and the entire metro area. 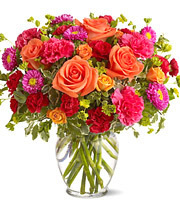 Local specialties include premium roses, fresh arrangements, wedding flowers and event decorations, corporate floral services, and exceptional sympathy flowers. Phillip's works closely with downtown businesses and all Chicago area hospitals, hotels, major event facilities, and funeral homes, including City of Chicago facilities, Holy Cross Hospital, Northwestern Memorial, Rush Presbyterian Medical Center, the University of Chicago and University of Illinois hospitals, Mercy Hospital, and Michael Reese. Professional interior plantscaping and holiday decorating services are also available. Phillip's has been recognized as an Illinois Merchant of the Year, a Loyola Family Business of the Year, and a top FTD and Teleflora florist for more than fifteen years. Putting us in the top tier of Chicago Florists. 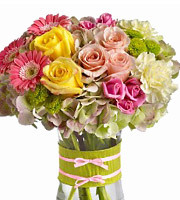 So, for flowers in Chicago or the suburbs, trust our team of nearly 200 florist design, delivery, and support personnel. They're ready to serve you today. For additional information or assistance, dial 1-800-356-7257, or call us locally in Chicago at 312-243-1800 or (312)356-7478. You can also visit us at our award-winning locations in the towns listed below. We're Chicagoland's local, family-owned, full-service, nationwide florists, and we look forward to serving you in any way that we can. Brookfield, Burr Ridge, Clarendon Hills, Countryside, Darien, Glendale Heights, Glen Ellyn, Hillside, Hinsdale, Hodgkins, Indianhead Park, La Grange, LaGrange Park, Lisle, Lombard, Naperville, Northlake, North Riverside, Oak Brook, Oakbrook Terrace, Riverside, Villa Park, Westchester, Western Springs, Westmont, Wheaton, Willowbrook, Willow Springs, Woodridge, and many more. Serving zip codes 60601, 60602, 60603, 60604, 60605, 60606, 60607, 60610, 60611, 60612, 60613, 60514, 60615, 60622, 60626, 60640, 60647, 60654, 60657, 60660, 60661, and beyond.